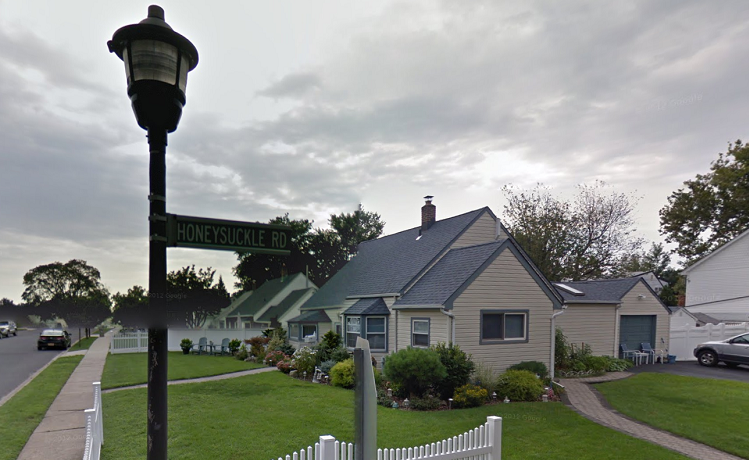 Pictured is one of the many strange road names on Long Island. 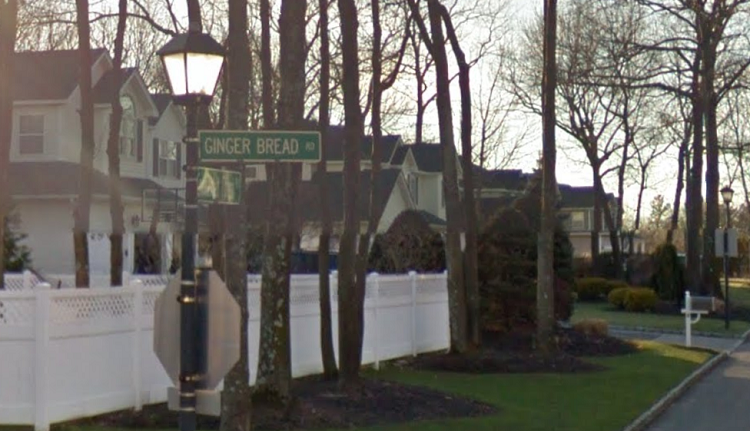 Gingerbread Rd is located in Kings Park. Photo credit: Google Maps. Taking a drive along Long Island is not only an adventure because of all the unique roadside attractions, but because there is so much to explore with the many villages and towns. 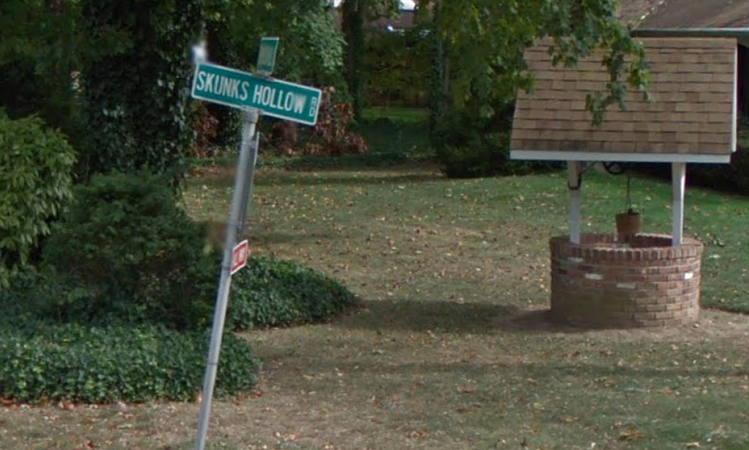 Some villages and towns on Long Island have the strangest road names you’ll ever come across. 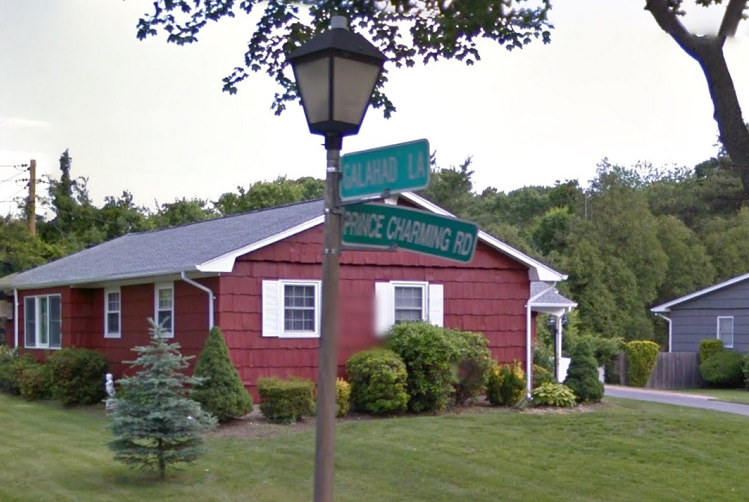 We’re talking about road names like Claus Avenue, Mattituck’s Love Lane, Prince Charming Rd and there’s many more! As you discover Long Island, you’ll also find it has several strange laws. Discover all the oddities of Long Island through the the bizarre routes and road names on Long Island! There are some that are whimsical while others may play a part in defining the haunted history of real haunts on Long Island. Pictured above is Honeysuckle Rd in Levittown. Photo credit: Google Maps. Pictured above is an area of real haunts on Long Island. Mount Misery Drive is located in Sag Harbor. The path has had its share of ghostly tales. At its farthest point are thick woods. Many who have passed by have claimed to feel eeriness around the surrounding. Interestingly though, Mount Misery Drive was not named because of that. Back in the times, it was an area known to locals as unfarmable land and because of the steep hills, it made trekking across it “miserable,” according to Weird U.S. Photo credit: Google Maps. Pictured above is Prince Charming Rd in Nesconset. Photo credit: Google Maps. Pictured above is the intersection of Race Lane and Railroad Ave in East Hampton. Photo credit: Google Maps. Pictured above is Skunks Hollow Rd in St. James. Photo credit: Google Maps. 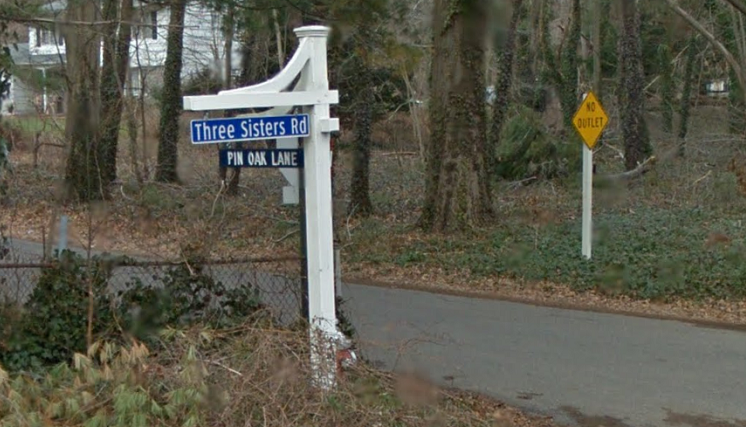 Pictured above is the intersection of Storyland Lane and Mark Twain Lane in Setauket. Photo credit: Google Maps. Pictured above is a path down Sweet Hollow Rd in Huntington. On this road sits a haunted overpass, according to legend. There’s stories of the school bus accident where everyone on the bus was killed when it skidded off the bridge. There’s also the one where drivers who have dared to park their vehicle under the bridge have oddly felt movement. Additional legend and other real haunt stories are bountiful on Long Island. Photo credit: Google Maps. Pictured above is Three Sisters Rd in St. James.There’s no clear documentation as to how this road was names, however, there’s several theories. One theory is that this very old road was occupied by a settler who had three daughters. The other theory was an Indian in the area had three daughters who would often be seen walking the path, according to Long Island Genealogy. Photo credit: Google Maps. There are lots of Strange Laws here on Long Island - some at the State level, some at the County level, and even some unique laws that are specific to local cities & townships. For example - did you know in Nassau County that it's illegal to feed migratory waterfowl, such as geese? Head over to LongIsland.com's Strange Laws page for a look at some of the weirdest restrictions and rules that are currently on the books! Visiting Roadside Attractions like the Iconic Big Duck located out in Flanders, the Montauk Lighthouse, or the Smithtown Bull is a beloved roadtrip tradition of locals and out of towners alike. Get the scoop on the best roadside pitstops you won't want to miss next time you're out and about from the edges of the boroughs all the way to the East End? Love all things haunted? Then you won't want to miss out on LongIsland.com's Real Haunt Guide, featuring an in-depth look at all of the Island's most iconic haunted places, including the abandoned Kings Park Psychiatric Center, the Amityville Horror House, Lake Ronkonkoma, and many more! 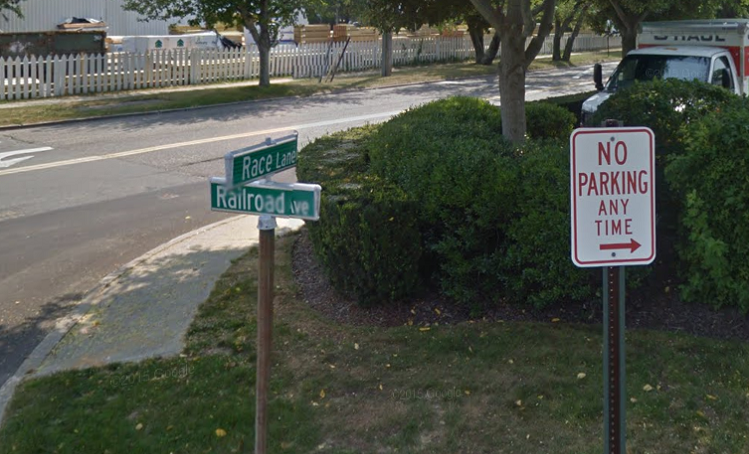 If you enjoyed reviewing these strange road names on Long Island, you should also discover the many other great facts on Long Island. 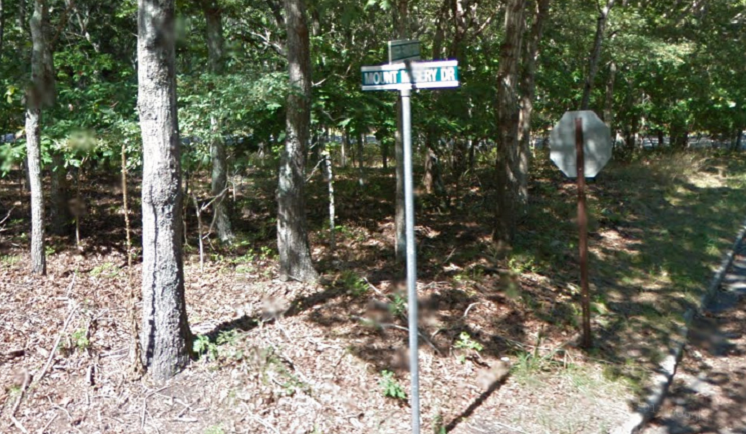 Do you know any other strange road names on Long Island?